FREE Smart Bro 15 Minutes ~ Philippine Freebies, Promos, Contests and MORE! 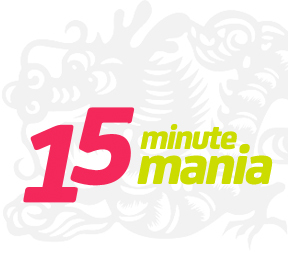 Smart Bro is celebrating the start of the year of the Dragon with FREE 15 minutes internet connectivity through Smart Bro’s 15 Minute Mania Promo. Smart Bro Prepaid subscribers can avail 15 minutes of FREE internet connection daily by registering. Text BRO15 to 2200 and you will receive a confirmation message of the promo's activation. Your free 15mins will be on a running time basis and a Php 1.00 maintaining balance is needed to avail the free fifteen (15) minutes of internet. If you are on a prepaid account, the free fifteen (15) minutes of internet will be consumed first before it makes use of your existing load. Promo period is from January 10, 2012 to January 23, 2012.